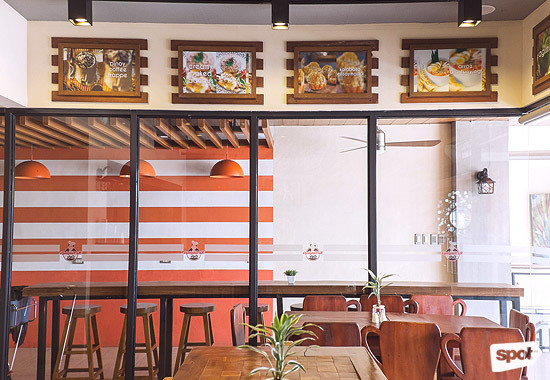 This breakfast place is a comforting oasis in the middle of a bustling neighborhood. 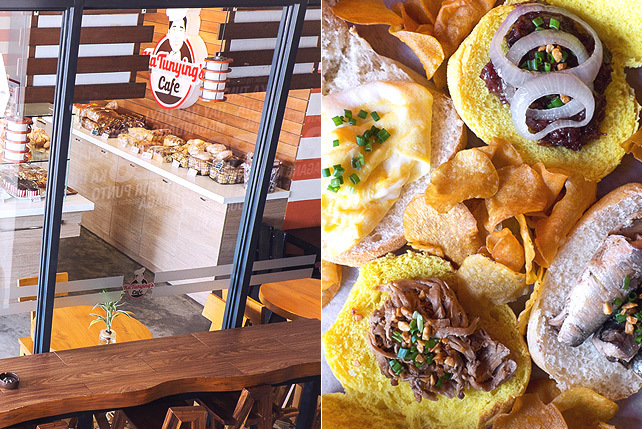 (SPOT.ph) Ka Tunying’s Cafe is a lovely little coffee shop and breakfast place right in the heart of Quezon City. 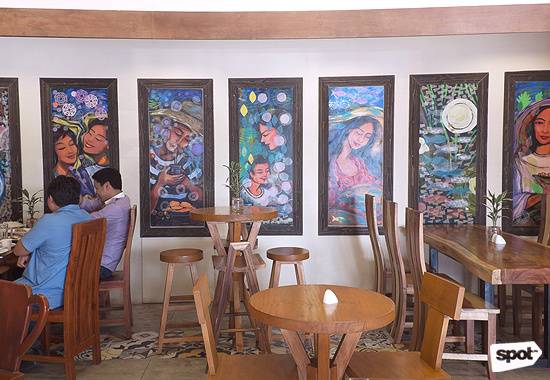 It’s an oasis in the middle of Visayas Avenue, a den of light fare, quiet, and a highly imaginative selection of drinks. 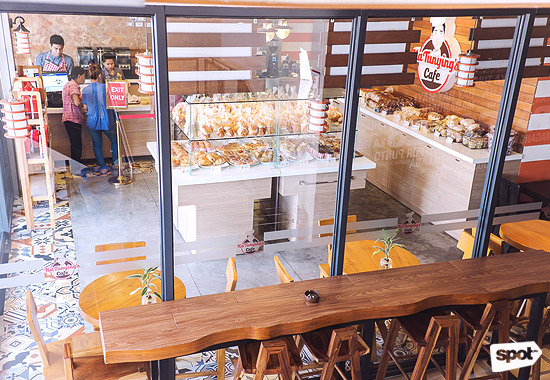 The cafe takes its name from its proprietor, Anthony Taberna, or Ka Tunying in his native Nueva Ecija, where he also runs a popular bakery. 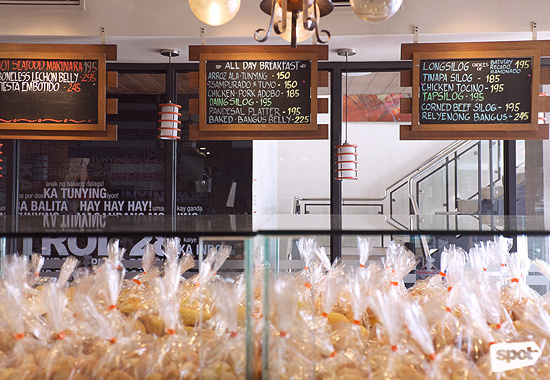 The first thing you see at Ka Tunying’s is the assortment of bread and pastries on display. The ground floor is dedicated to baked goods, but the second floor dining area is bright and spacious, a perfect place to work or have meetings. 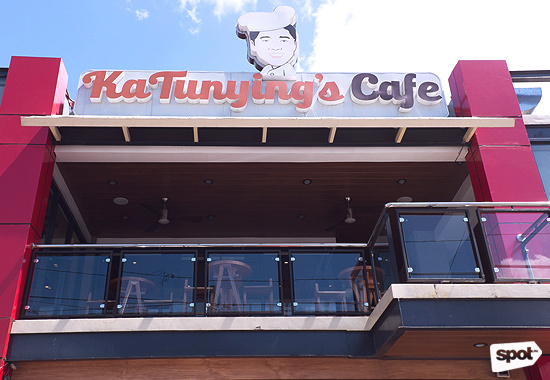 Ka Tunying's specializes in Filipino comfort food. The Tsamporado and Tuyo (P150), for example, is what you need to start your morning, enjoy a rainy afternoon, or end a long day. 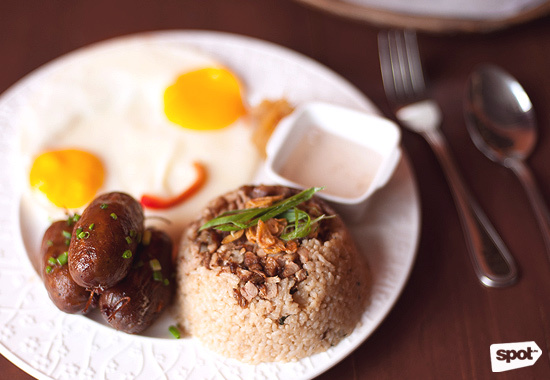 A must-try is the Longsilog (P195). There are three kinds of longganisa to choose from, all of them from Cabanatuan. There’s the sweet and garlicky batutay, the extremely garlicky and not at all sweet recado, and the meaty hamonado. The batutay is delicious—so delicious on its own that you might as well ignore the side of vinegar. 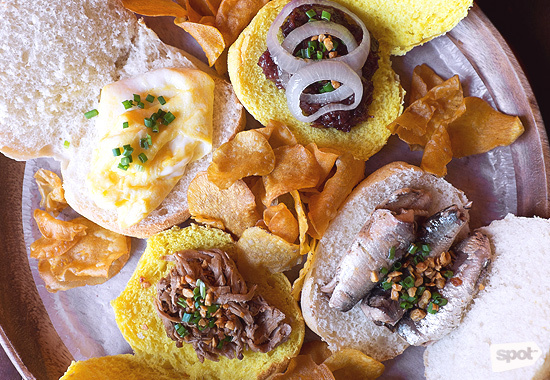 The Pan de Sal Platter (P195)—the cafe’s signature pan de sal topped with a selection of corned beef, Spanish sardines, egg, and adobo flakes—makes for a great snack that you can consume slowly over the course of the afternoon, paired with a good beverage. 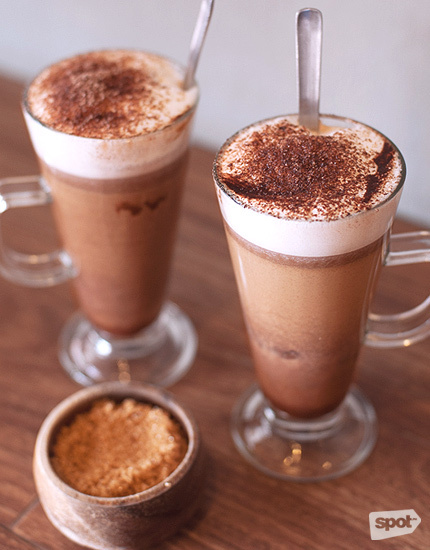 The drinks are where the cafe truly stands out. 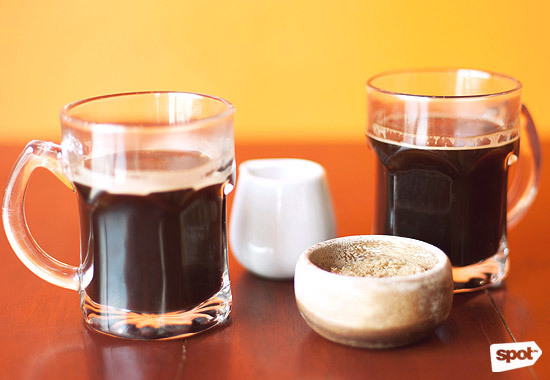 Their most basic coffee is the Tunying’s Blend (P65), a special medley of Arabica and Robusta beans. It's smooth, with an edge of darkness to it. 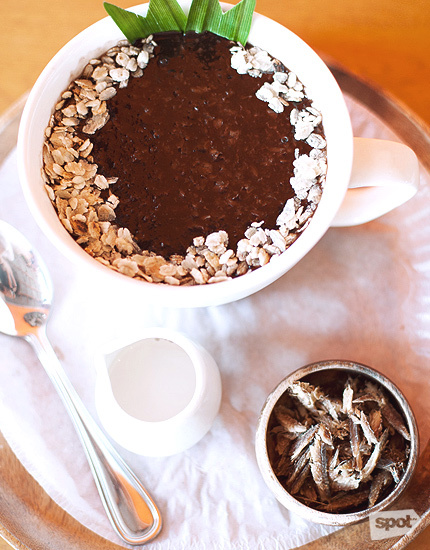 The Mochabayan (P95) is a bestseller, blending Batangas cocoa with Batangas barako. Another crowd favorite is the Ensaymada Smoothie (P135), which is exactly what its name says it is—ensaymada in drink form. It is rich, delicious, and utterly decadent. We're calling it a "cake shake." Ka Tunying also has a Cupid Milk Tea. 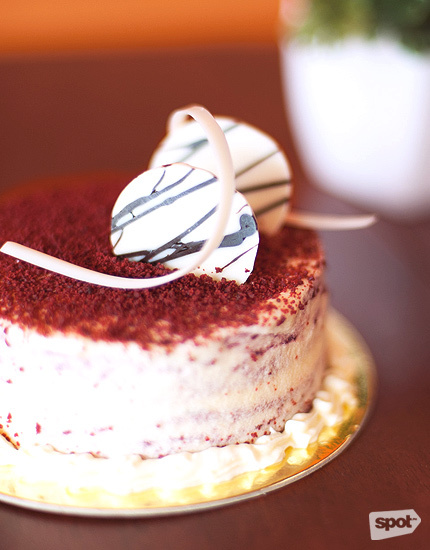 Flavored with hibiscus syrup, it was supposed to be a February special, but might become a permanent fixture on the menu thanks to the overwhelming customer reaction. 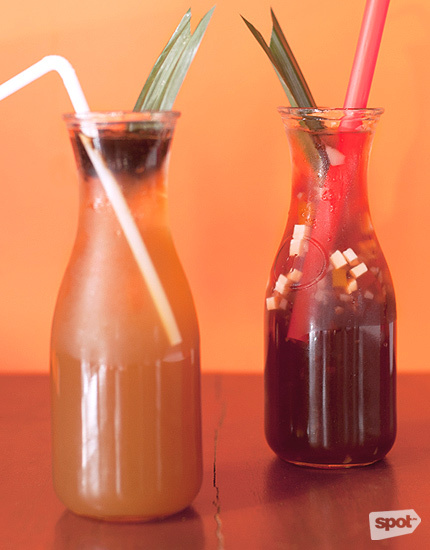 The Dalandan Ginger Iced Tea (P65) is a refreshing citrus drink with a ginger bite, while the Fiesta Gulaman (P65) is a Pinoy favorite that's always worth trying. 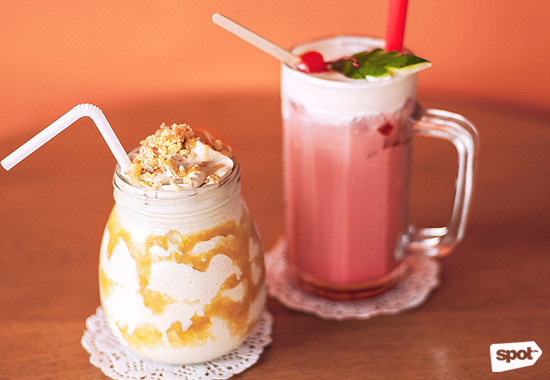 The drinks are the brainchild of Kalel Demetrio of Liquido Maestro, who describes himself as a "liquid chef." He prides himself on using local ingredients and making everything from scratch. Thus, Ka Tunying’s syrups are all made in-house, and he has more drinkable concoctions in the works. There are also plans to expand the cafe into a full restaurant, with comfort dishes to be added to the menu. We can't wait for the full menu. Quezon City can be busy and noisy, so it’s good to know that even in the middle of the bustling metropolis, there is a place that serves up the comforts of home.